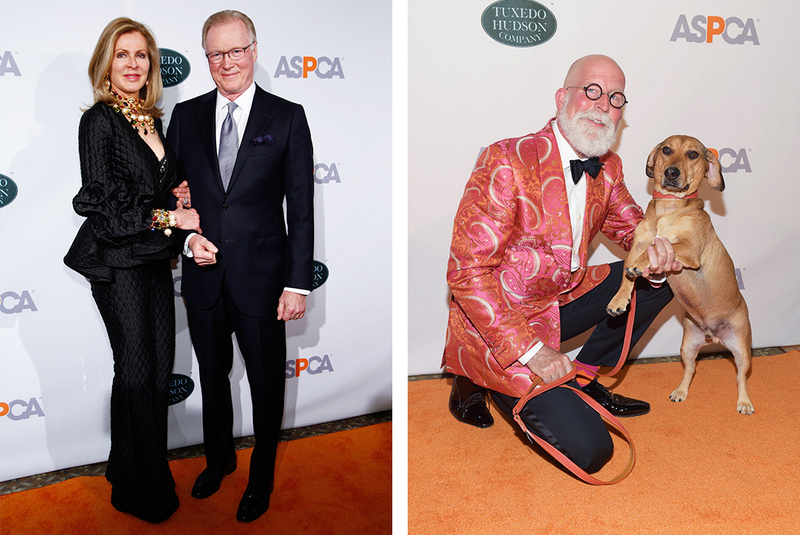 Held on April 20, the 20th annual ASPCA Bergh Ball was a night to remember for stars, supporters, and of course, our furry friends! Hosted by acclaimed fashion designer Isaac Mizrahi, the black-tie gala took place at The Plaza Hotel in New York City, and featured a variety of exciting appearances and fundraising activities, as well as special award for one of the ASPCA’s biggest supporters. Here’s a look back at this year’s memorable event. 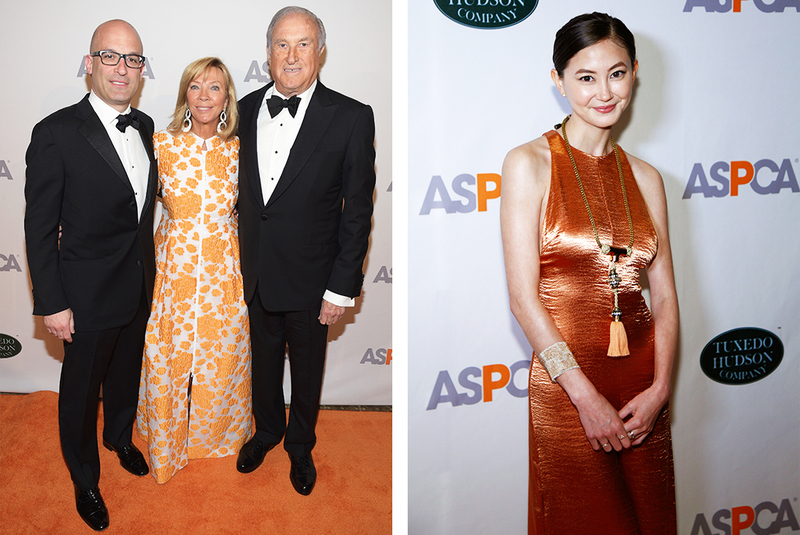 This year, the ASPCA honored esteemed Board Member Linda Lloyd Lambert with the Henry Bergh Award, named after the ASPCA’s founder, which recognizes individuals who dedicate their lives to making the world a kinder, more humane place for animals. ASPCA President and CEO Matt Bershadker presented the award to Mrs. Lambert on behalf of the ASPCA. 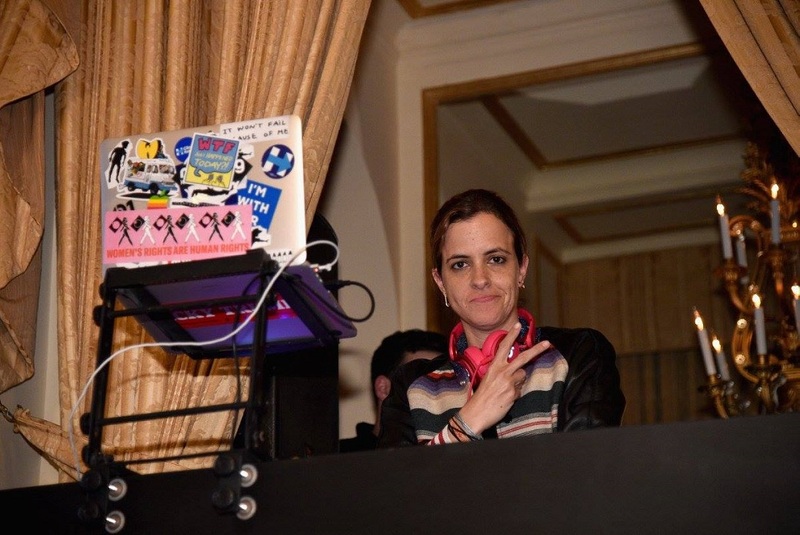 DJ Samantha Ronson at the 20th annual Bergh Ball. Throughout the night, guests were treated to music played by DJ Samantha Ronson, while Sotheby’s senior auctioneer C. Hugh Hildesly hosted a live auction, featuring items such as Billy Joel front row concert tickets with a meet and greet and a signed limited edition vinyl, as well as artwork from Hunt Slonem, with staggering results: This year’s Bergh Ball raised nearly $1.6 million—a 14% increase from last year’s event! This incredible amount raised will be used to directly impact the lives of homeless, abused and vulnerable animals across the country. The event was sponsored by Tuxedo Hudson Company and featured décor design by David Beahm Experiences in collaboration with décor chair Robin Bell. Notable faces on the Bergh Ball orange carpet included Carolina Herrera, Kimiko Glenn, Christian Siriano and Brad Walsh, Jessica Hart, Jill Rappaport, Jill Martin and many more. (Left) Ellen Scarborough and her husband, journalist Chuck Scarborough. (Right) Events Designer, David Beahm and his rescue dog Jim Beahm. Following the formal event, the ASPCA premiered its first After Dark party, hosted by actress Lucy Hale, for young professional supporters of the ASPCA. The event featured music by The Misshapes and a silent auction including art, Seth Meyers tickets and a getaway in the Hamptons. Brad Walsh, Lucy Hale, Christian Siriano, and The Misshapes during the ASPCA’s After Dark party. The After Dark event was supported by Bandier and Tito’s Handmade Vodka, and décor was provided by David Beahm Experiences. The party also included vegan treats from By CHLOE ice cream and a SmileBooth photo booth where guests could show their love for shelter pets and animals in need. Notable faces on the After Dark orange carpet included ZZ Ward, Leigh Lezark, Bregje Heinen, Jerrod Niemann and Lo Bosworth. (Left) Television personality and After Dark Event Chair, Lo Bosworth. (Right) Model Bregje Heinen.